Speaking of sightseeing in Osaka, Dotonbori should be considered as a “must see” and the start of your adventure. It is the more famous of the two “downtown Osaka” areas – the other being Kita-shinchi – and it’s located between the Shinsaibashi and Nanba stations of the Midosuji subway line. Dotonbori is packed with tourists during the day and colored with the colorful signboards and glaring neon signs of Gliko (a snack-food manufacturer) which could well be seen as the symbol of Dotonbori,. At night, buskers from the bright-lights district on the opposite side try to persuade customers into their shops there. There used to be lots of theaters and Kabuki here, and Japanese puppet show (ningyojyoruri) were once-booming. The area is now lined with many restaurants and bars and it's referred to as the "nation's kitchen" (tenka no daidokoro), or the Mecca of gourmet food. 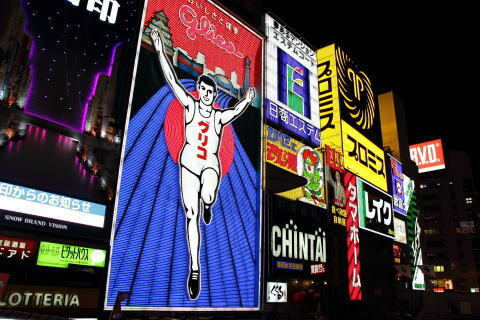 Dotonbori is the more famous of the two “downtown Osaka” areas. Take the Midosuji subway line, Yotsuyabashi subway line and Sennichimae subway line to Kintetsu "Namba(難波)" station and get out at the No. 14 exit. Walk to the left on the main street and turn right before the first bridge. 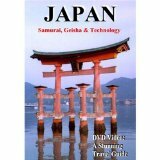 Take the Sennichimae subway line and Sakaisuji subway line to the "Nihonbashi(日本橋)" station and get out at the No. 2 exit. Walk to the right on the main street and turn left before the first bridge.